Imagine Creativity Center is a place where dreams happen. Every year they bring 12 dreamers to develop four different projects. 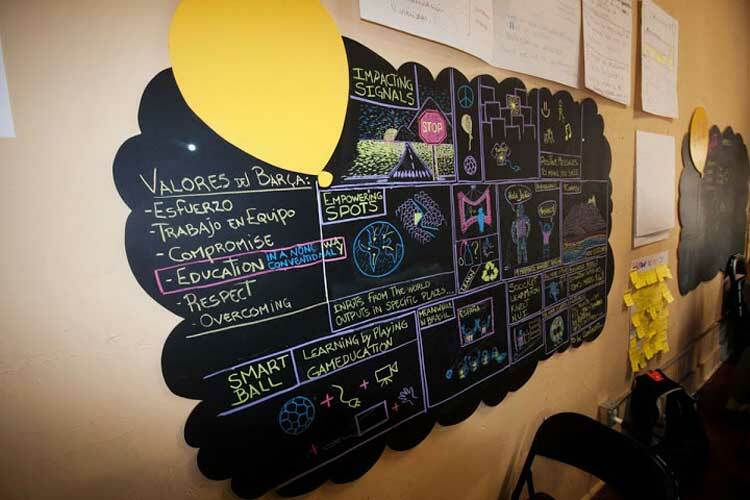 So, Wall&Wall got involved, producing the chalkboards where the dreamers brainstorm. 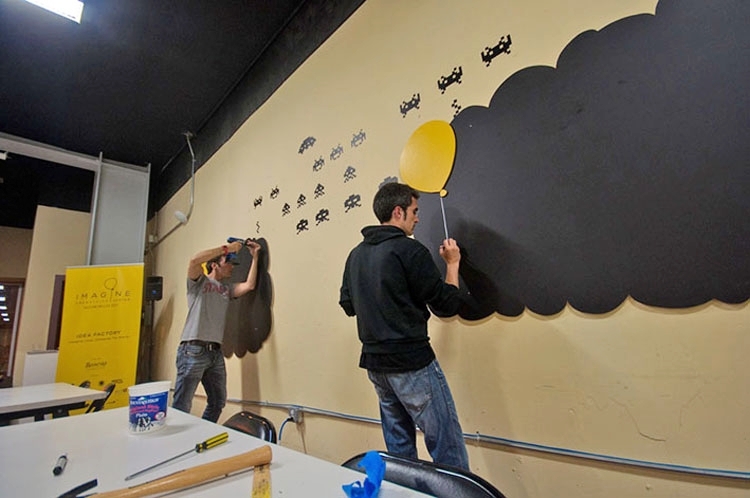 Instead of doing a traditional square and boring blackboard, we were looking for an imaginative and creative shape that was more in the spirit of the project: a cloud as a dream or a thought, the balloon in yellow, the logo and image in the center. For the final event, where the teams showed their projects, Imagine asked for something fun and neat, something that the public could interact with, which also included all the logo founders. 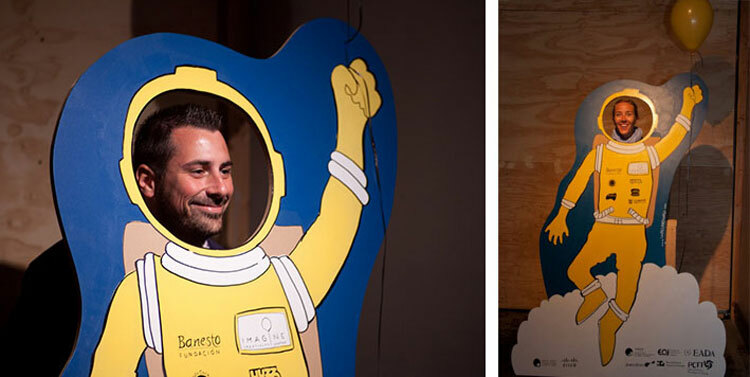 So, Wall&Wall produced a photocall in a shape of an astronaut being pulled in by the yellow balloon.